This refreshing grapefruit citrus salad made with granny smith apples and mint is the perfect healthy summer fruit salad! Does anybody else find eating plain grapefruit a chore? I know it’s healthy (vitamin C from citrus fruits is important! ), and the beautiful Texas ruby red grapefruits look so tempting, but when I eat one plain, sometimes it’s just…disappointing. A little harsh and sour, and not near as sweet as you’re expecting when you look at it, am I right? However, I LOVE grapefruit as an ingredient in almost anything. It’s one of those things that a “less is more” approach works wonderfully for me. It’s unique flavor adds a surprising and refreshing taste to almost anything that’s just wonderful! 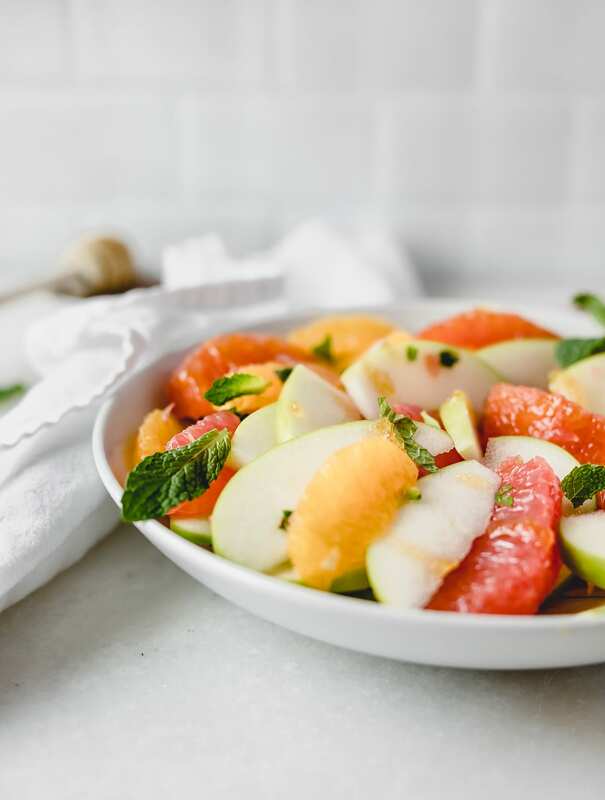 Enter the Grapefruit Citrus Salad. 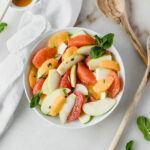 This grapefruit citrus salad is one of those delicious fruit salads that uses grapefruit and granny smith apples to cut a little sweetness. Some fruit salads are just too sweet sometimes. This one is a little more tart and refreshing with the addition of mint. If you prefer a little more sweetness, you can always drizzle some honey over the top. I personally love all of the flavors together, especially the next day over some greek yogurt as a quick breakfast or snack in a pinch! And it’s full of healthy vitamin C without having to eat a plain whole grapefruit like a ’90s dieter. Because that’s just sad. Remove peels from grapefruit and oranges. I like to cut them off to remove all of the bitter white parts. Cut into thin segments. Thinly slice granny smith apples into 1/4 in slices. Cut mint leaves into thin ribbons. 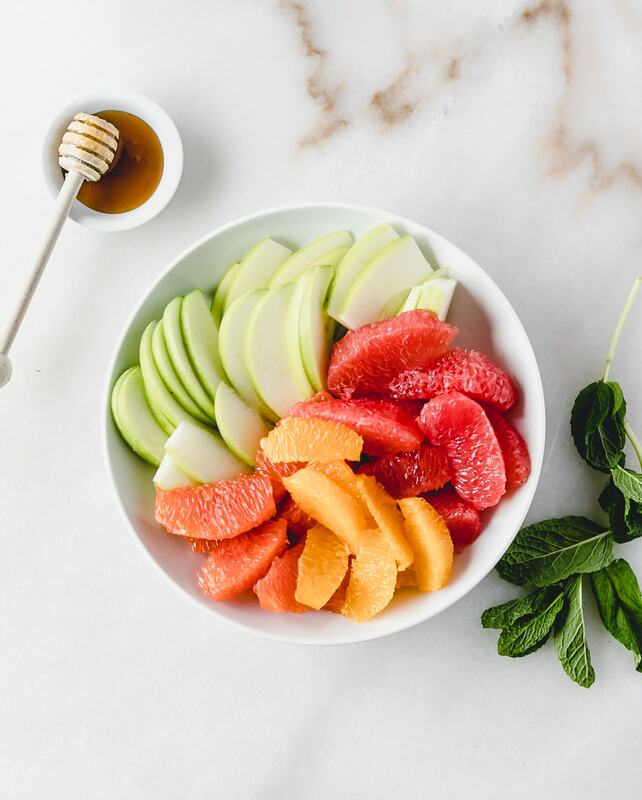 In a medium bowl, mix fruit and mint and gently stir to combine. Drizzle lightly with honey (optional). So simple and gorgeous! We love grapefruit in our house – even the girls do, which is shocking to me since i didn’t touch it until I was an adult.